The move toward clay paving in building projects has never been so strong. Architects strive to balance traditional materials and innovative designs in ecological ways by using natural materials. Chelmer Valley supplies architect paving products designed to meet all these challenges. We are happy to work with architects to discover the solutions they need, sometimes solutions lay within our standard ranges and sometimes they involve combining colours and offering alternative sizes, where possible. We encourage architects to visit our showroom, bringing samples of other materials they have to work alongside the pavers, allowing a balance to be found. This is always individual and unique to every situation. Architects can bring along clients to view our paving and to use our facilities to assist in the material selection process. 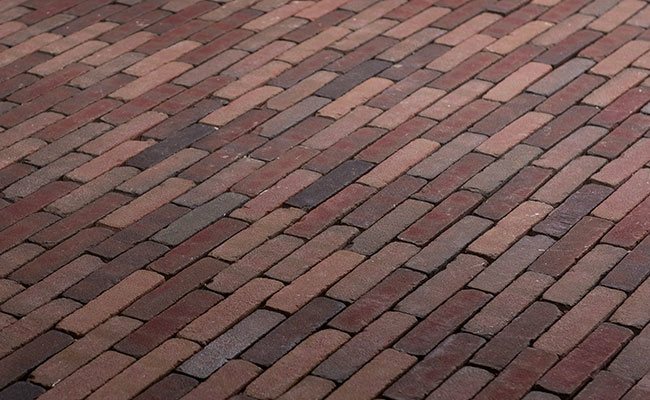 Different schemes will require very different styles, and architects need to specify very different paving types for different uses, such as vehicle and non vehicle situations. Within our architect paving ranges will be the solutions you need. For architect paving to work, it should be the supporting role in landscape design, complementing other materials and being harmonious with not only the other materials in the scheme, but also to the surrounding environment. Our focus remains on clay paving, through new styles and new colours, architects can use our products to design paving as never before possible. Clay paving gives many years of life and is an excellent long term investment. Created simply from sands, clays and water, our architect paving is available in a huge range of colours and textures. We welcome your enquiries and are happy to provide our assistance to meet your architectural paving needs.